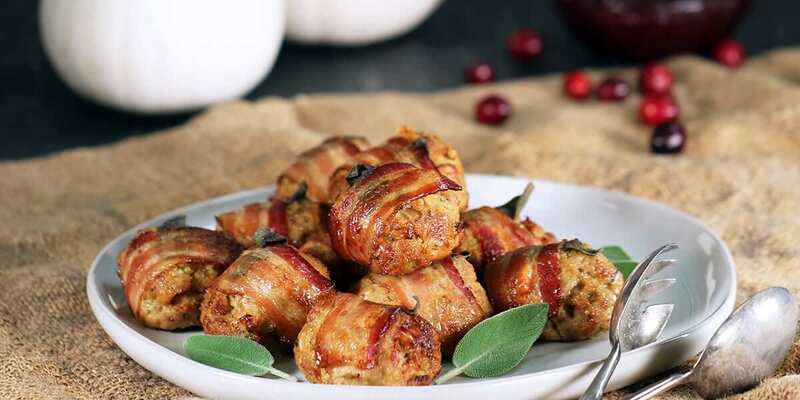 This is a fantastic way of preparing holiday stuffing; instead of the traditional mushy breadcrumb pudding, this flavorful stuffing mixture is combined with ground pork and wrapped in bacon and a fresh sage leaf, then baked to crispy perfection. I love this recipe because it adds more protein to the holiday meal, and who turns down crispy bacon? The addition of ground pork adds wonderful flavor and texture, as well as reducing the carb count––perfect for indulgent holiday meals! 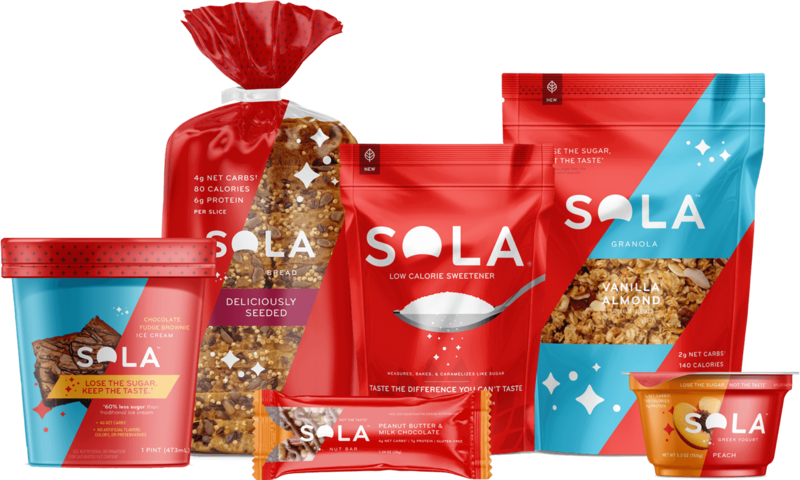 Prepare the breadcrumbs: place 8 slices of Sola bread on a baking sheet, place into the oven on its lowest heat setting, and bake for a few hours until fully dried out and crispy. A food dehydrator is also great for drying out slices of bread. Crumble the dry slices of bread into a food processor and blitz into breadcrumbs. Place a large frying pan over medium heat, add the olive oil and butter. Once hot, add the onion, celery, garlic, and herbs and sauté for 5 to 10 minutes, until the vegetables have softened. Place the breadcrumbs, salt, and pepper into a large mixing bowl and add the cooked vegetables. Stir well and pour the boiling stock over the top. Mix thoroughly and let rest for 10 minutes to allow the breadcrumbs to soak up the water and for the mixture to cool. After the mixture has cooled, add the ground pork and parmesan cheese. Divide the mixture into 12 balls and wrap each with ½ slice of bacon and 1 fresh sage leaf. Preheat the oven to 350F. Line a baking sheet with foil and parchment paper. Place the stuffing balls on the baking sheet, and into the oven. Bake for 20 minutes until the balls are golden-brown and the bacon is crispy. Transfer to paper towels to drain. This recipe can be completed up to step 5 in advance, and refrigerated for 2 days before cooking.